Construction workers finish up work on the new Stone Creek Elementary School in the Wentzville School District last month. It's one of two new schools that will open next week. Ballooning student numbers first reached the Fort Zumwalt and Francis Howell school districts in the 1990s. It’s still rolling on: Fort Zumwalt district opened an elementary school last year and an early childhood center this month. And in the eastern part of the county, Orchard Farm schools have added about 500 students in four years. “We’re growing rapidly,” Orchard Farm spokeswoman April Bryant said. But as those communities fill up, families are moving further west, into the Wentzville district’s boundaries, where property is still available. That means the district has seen more than 500 new schoolchildren every year since 2001, according to state enrollment data. The district educated fewer than 6,000 kids in the early 2000s, Superintendent Curtis Cain said, but he anticipates enrollment will increase from about 16,000 this school year to 22,000 by 2025. "A farming term is fallow. We don’t have many fallow stretches," he said. Stone Creek and Wabash elementary schools will be Wentzville’s 10th and 11th new schools since 2001. 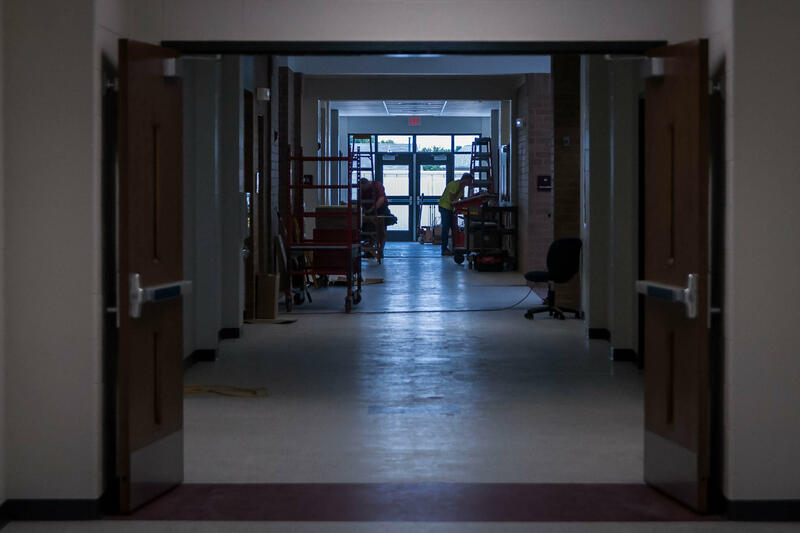 In addition, 52 classrooms have been added onto other buildings in the past year. The district is having discussions about future additions, according to Cain. Affordable real estate and the opportunity to build a new house enticed Amy Schnell and her husband to move from Creve Coeur to O’Fallon in 2002. She has one son in a Wentzville middle school and two more at Crossroads Elementary, where she’s PTA president. Schnell said she’s been happy with the school district and her children’s education. But the district’s expansion has come with some growing pains. “It’s not an easy process because a lot of families have been switched around, unfortunately, many times just because we’ve grown so much,” she said. 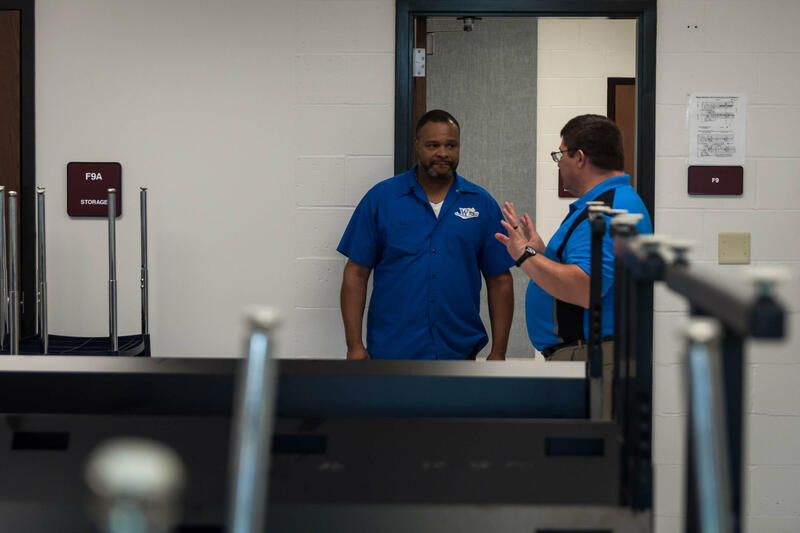 Stone Creek Elementary Principal Melvin Bishop (right) talks with custodian about furniture arrangements a for classroom in the new school in Wentzville. The Wentzville district has had to ask taxpayers to help out during the growth spurt, with 15 property tax increases or construction bonds being put to voters since 2000; nine were approved, generating more than $300 million. “We knew going into it was going to be a growing community. I think if our tax dollars weren’t showing good investment, I’d have a problem,” Wentzville district parent Heather Jones said. Jones’ triplet daughters will move into the new Stone Creek school for fourth grade when it opens next week. She has been preparing them for having to make new friends and to keep in touch with old ones.